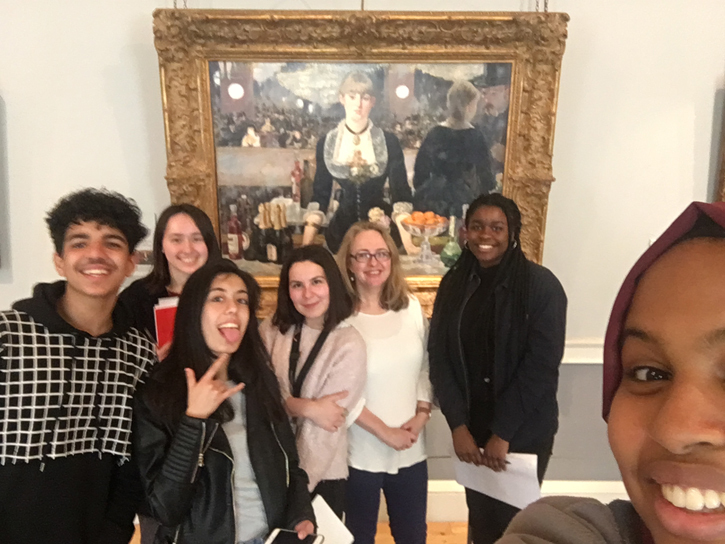 Rose Aidin from Art History Link-Up talks about Art History for Everyone – free taught Art History EPQ/A Level courses for state-maintained sector students on term-time Saturdays at The National Gallery or Wallace Collection. Some sort of alchemy or magic takes place when young students learn in front of a great work of art. Students from every ability level and background are able to make astonishing insights and connections, assimilating the work of art so it becomes part of themselves. This, at least, is our experience of delivering a free Art History AS level to state-maintained sector students in museums and galleries on term-time Saturdays. 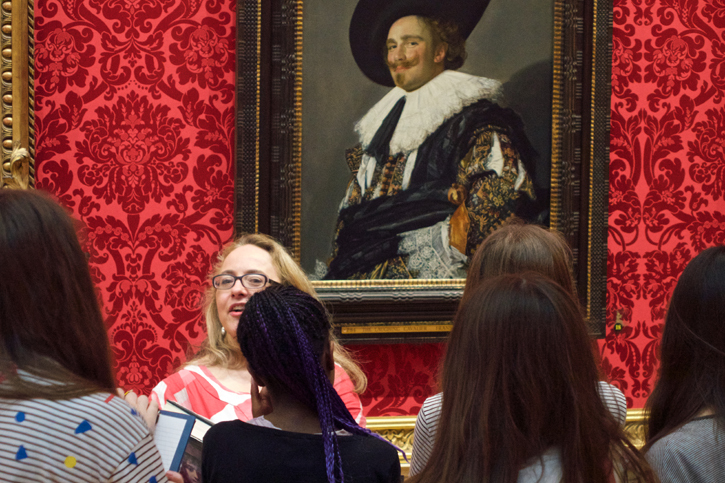 Teaching Art History A Level in schools can be frustrating because timetabling and safe-guarding restrictions mean taking classes off-site to visit museums and galleries can challenging. 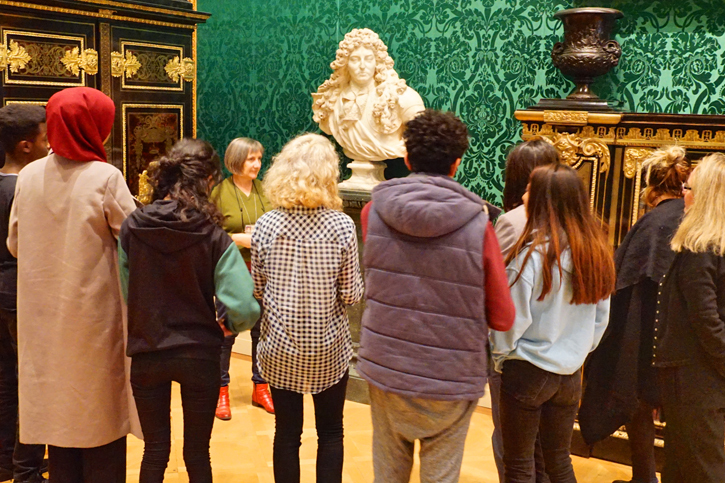 So the Art History for Everyone formula combining classroom learning – albeit in some of the most glamorous classroom settings in the world – with first-hand study of the topics being covered, alongside access to Art History to students who might not otherwise have the opportunity. 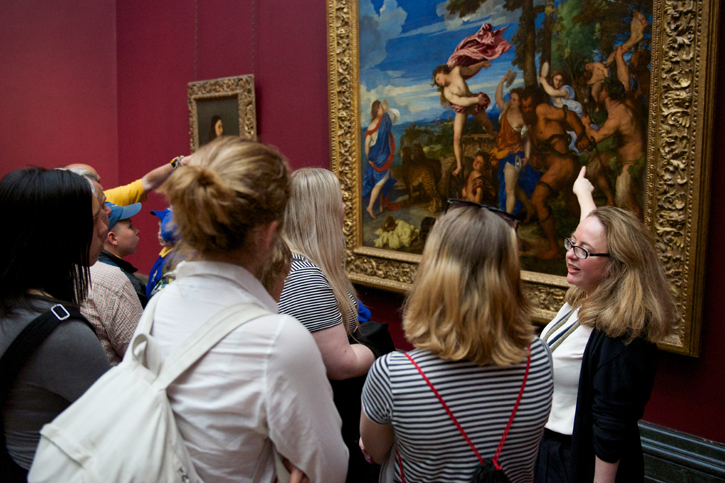 The majority of our students come from ‘non-traditional’ Art History backgrounds however, as a result of taking our courses, over half want to study Art History at FE/HE and pursue careers in the arts. From September 2018, students will have the chance to study for a taught Extended Project Qualification (EPQ), which is equivalent to half an A Level in UCAS points and very well-regarded by university admissions officers, alongside two modules of Art History A Level, with the option of taking a further two modules and sitting the A Level exam at the end of the second year. 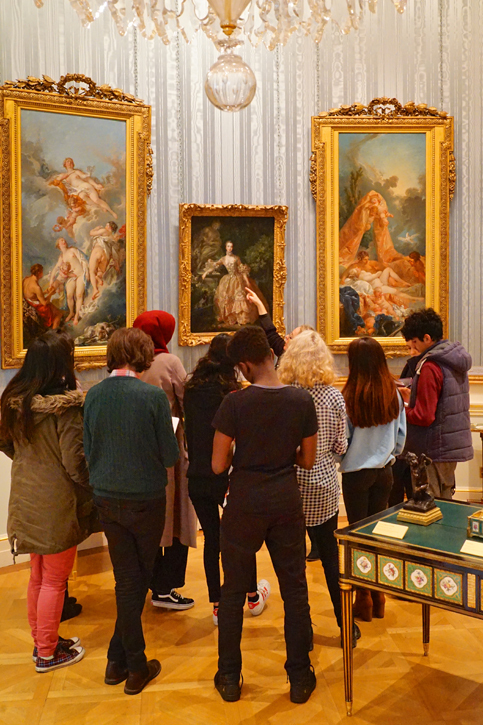 Two separate courses are offered from September, at the Wallace Collection on term-time Saturday mornings, and at The National Gallery on term-time Saturday afternoons. Students are offered membership of homework club after class, an alumni club, and access to all sorts of amazing opportunities. 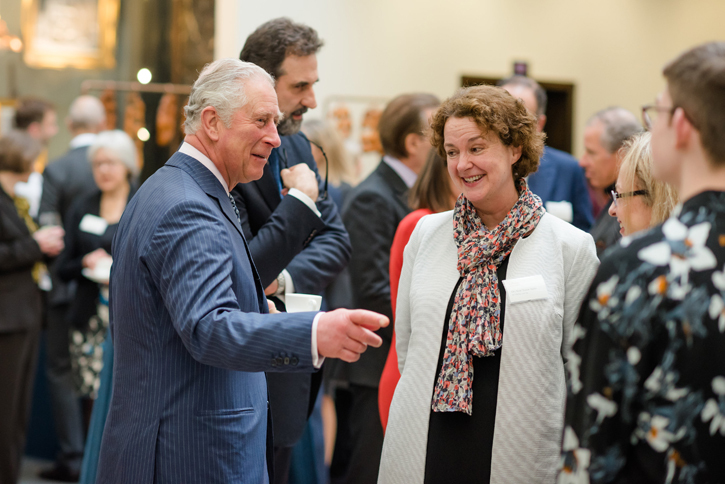 For some of our students last year these included meeting Sir Simon Schama, HRH The Prince of Wales, and a behind-the-scenes tour of Windsor Castle. Who knows what will come this year? Whatever happens, it is sure to be amazing, for such is the transformative power of studying Art History. You can apply for Art History for Everyone online. This year's deadline is 10th September 2018, however students are encouraged to apply as soon as possible. All places are offered at no charge to state-maintained sector sixth form students, with priority to candidates from a widening participation background, and to those with aptitude and ability for the course. 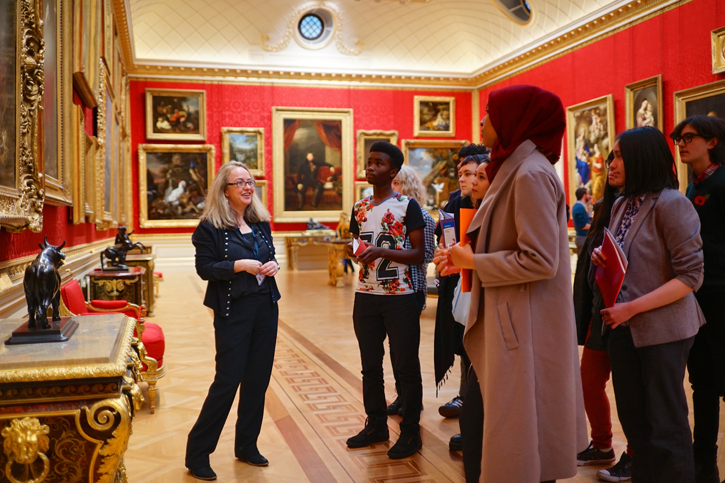 Art History for Everyone at The National Gallery is generously supported by The National Gallery, the Rothschild Foundation, the Duke of Devonshire’s Charitable Trust, the Foyle Foundation, the Worshipful Company of Grocers and other supporters. Art History for Everyone at the Wallace Collection is generously supported by the Wallace Collection, the Band Trust and other supporters. 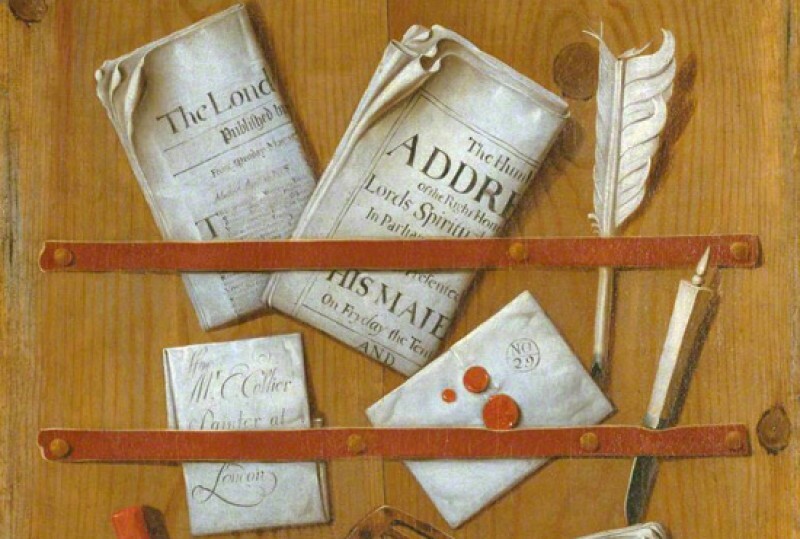 Art History for Everyone is managed by Art History Link-Up, registered charity no. 1172792.